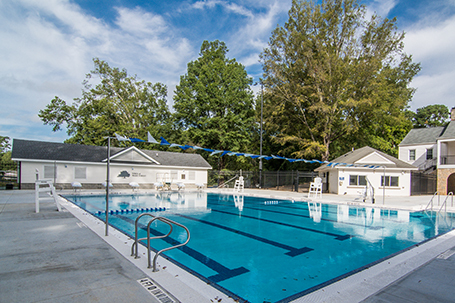 Due to the discovery of significant structural issues, the original historic Holding Park Pool was demolished and replaced with a new $3.2 million aquatic center. Completed in 2018, the new facility is comprised of three bodies of water, including lap pool, a plunge pool, and a children’s pool. The site of the aquatic center is in a beautiful park valley setting with greenspace, old growth trees, and wet lands with cattails. Thus, the facility has a very natural organic theme to complement its natural park setting. Due to its location it can be difficult for the site to dry out during normal circumstances, but even more so during continuous spells of rainy weather and sub-freezing temperatures that were encountered throughout construction. 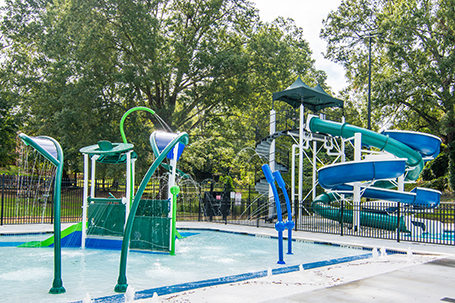 The completed project restores the beauty and grace of the historic park and provides aquatic recreation to be enjoyed by current and future generations.